Radhanath Swami, as sweet as a leader could be. When the sun drops into the Arabian Sea, Mumbai is lit by Neon signs that line its busy streets. Being the economical capital of India, the city stands immune to the electricity shortage that plagues the rest of the country. Mumbaiites, the residents of Mumbai, get electricity in plenty, though they are often embarrassed by shortages of clean water and fresh air. Ananta Koti Vaishnavas –The millions of devotees of the Supreme Lord Krishna; according to the Vedic understanding, the majority of them are in the spiritual world, beyond the material universes. Pancha Tattva—The Supreme Lord manifesting in five features—Chaitanya Mahaprabhu, NItyananda Prabhu, Advaita Acharya, Gadadhar Pandit, and Srivas Thakur. 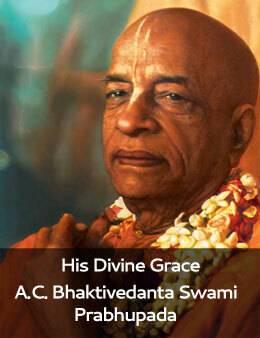 Their activities are documented in the epic Sri Chaitanya Charitamrita. Six Goswamis—The six saintly followers of Sri Chaitanya Mahaprabhu who wrote books that form the basis of the Gaudiya Vaishnava Theology.